This model is actually the venerable Schimmel 182T that has been manufactured in one form or another since the mid 1990s. The change in name denotes the move of production to the new, second Schimmel factory in Poland. This change brings with it a very welcome reduction in price. Allowing the beautiful musical qualities of a low production volume, European made piano available at a price usually associated with mass production. The singing tone of the treble and rich round-toned bass is instantly familiar to all Schimmel piano lovers. This type of sound cannot be created by mass produced instruments as carefully developing the crowning stresses of the soundboard takes 6 months to achieve. 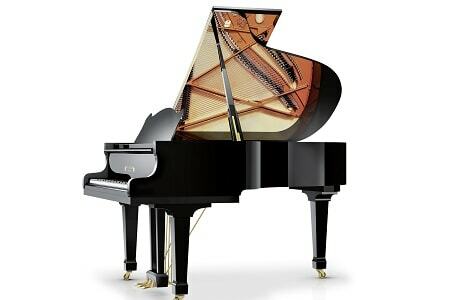 It is a piano that brings out the beauty of every single note rewarding improving pianists with its musicality. At 5ft 11in (182cm), the piano suits most rooms and is big enough to impress with its full deep sound.